I hung my flags in front yard and have received a lot of nice comments about them. Getting ready for a holiday is so much fun. Brings the spirit out of you. Everyone should check out Miles Kimball. It's a beautiful garden flag that decorates my front yard. 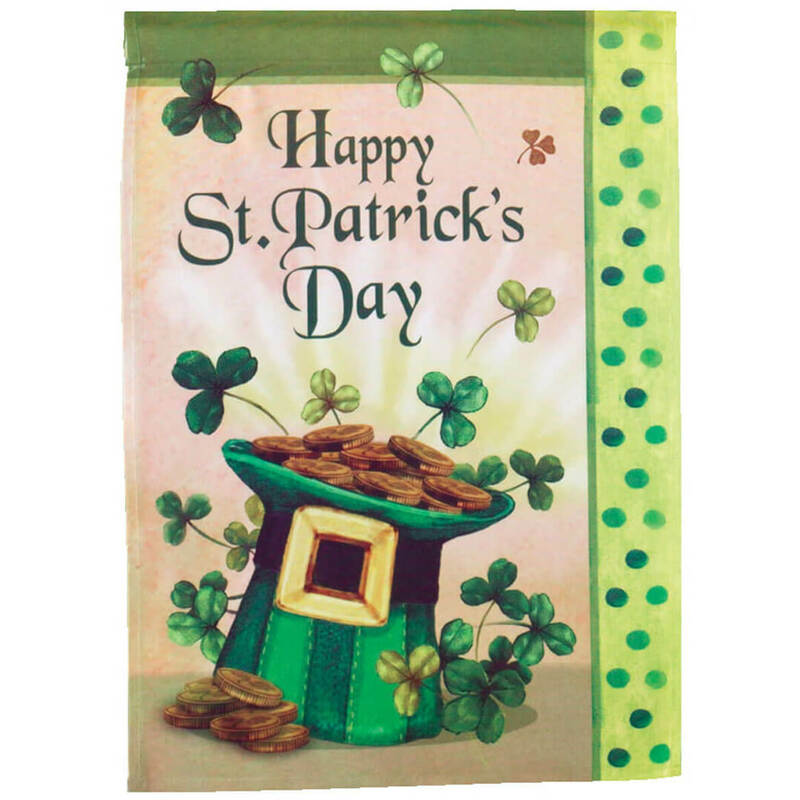 This flag is perfect for St. Patrick's Day! Used to decorate outside for st. Patrick's day for everyone to enjoy, and us to. The flag is definitely smaller than my other garden flags, but still very pretty. The colors are great, too! I love putting these flags out to celebrate the holidays! I have bought this product before! This is the 2nd time I have purchased the set of mini banners. They last for years and are the best deal out there. I live in Florida and the sun can really fade them. I am very pleased with the quality. I did not like that the order was split up and each order we were charge for shipping, in reality we paid more for shipping and processing then we were told. cheap looking. Not worth the money. The size isn't what I thought it would be. Too small to be seen well. I need a new one for next year. Our last name is KELLY......that's reason enough! Love St. Patrick's day and that He brought Christianity to Ireland! This is the only place I could find this item. I needed a small garden St. Patrick's Day flag. The wind blew our St. Patricks Day flag away. Needed a new one. I needed a flag for in my yard for St. Patrick's Day and this fit the bill. I needed it for Spring decorations. I liked the coloring and especially the hat & shamrocks. I bought one for us and one for a sister-in-law. They are really cute and I recommend them highly. 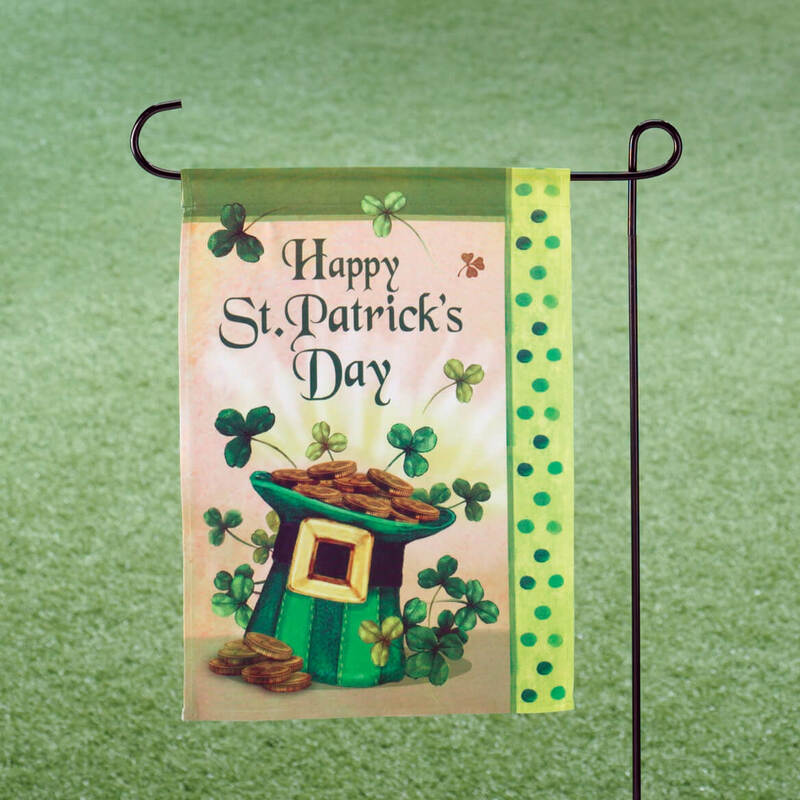 wanted st patricks day flag for yard - have one for all holidays except this one. Needed a flag for St. Patrick's Day. This one will be easy to see from the street. Love the look, and the pricing. Bought it just for fun. Colorful, just right for the occasion. Didn't have one for this special day and the price was fantastic.